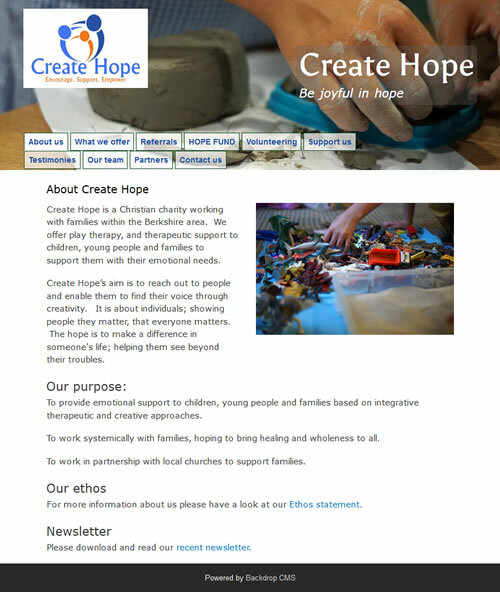 Create Hope is a Christian charity working with families within the Berkshire area. They offer play therapy, and therapeutic support to children, young people and families to support them with their emotional needs. As a start-up charity they were in need of a rapid low-cost solution and, fortunately, were able to provide all the text together with high quality photography tailored to the needs of the site. Backdrop then proved the ideal vehicle for our rapid development of a working site - our first Backdrop site. 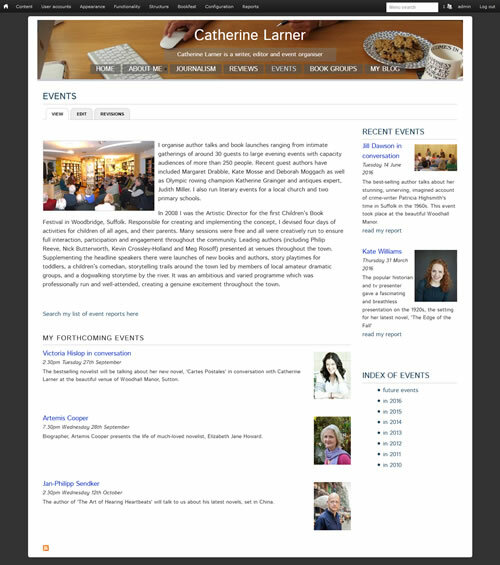 In 2011 Catherine and I met up to devise a website that would meet her needs as a freelance journalist, an organiser of events and a reviewer of books. The site was developed using Drupal and a number of additional contributed modules. We devised a theme which was implemented as a variant of Zen and allowed for a variety of content including a blog. Over the five years of its existence the site has changed quite a bit and a considerable amount of content has been added. Basing the site on a flexible CMS such as Drupal has proved a great advantage. Although usable on smartphones, we had become increasingly aware that the site needed to adopt Responsive Web Design techniques in order to make the display and navigation suitable for small-screen users. Also, looking forward, a decision had to be made as to whether to move on from Drupal 7 to 8. After gaining experience with other websites, and making sure that the necessary contributed modules became available, the clear winner in our estimation was Backdrop. The change to Backdrop has been made in September 2016 and already we are finding worthwhile additions to add to the site. Our experience with Drupal has of course been a great help but we are tremendously grateful to the Backdrop team for all the improvements we now enjoy. 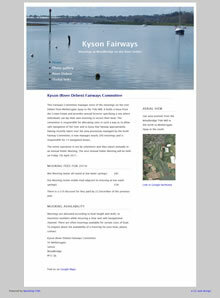 The client is a voluntary organisation set up to manage the moorings and marker buoys on the stretch of our local river estuary around Kyson Point. Their request was for a one page site giving them a presence on the web, but Backdrop makes it so easy to add and manage pages why stop at one! By adding a few photographs we hope to make the site attractive to visit even for those not looking for moorings. 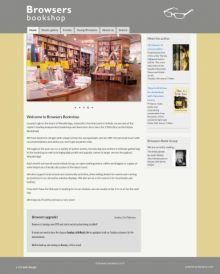 Browsers is a well-regarded independent bookshop in the small town of Woodbridge, Suffolk UK. The website provides a showcase for books of interest to customers, including reviews and a report from Browsers monthly book group. There are also announcements of forthcoming events such as interviews with authors, and reports of all previous events. It does not yet provide online sales. The site uses Backdrop CMS, with a modified version of its theme Bartik, and makes extensive use of the Views module to present information in an attractive and user-friendly style. Deben Rowing Club is very active on the River Deben at Woodbridge, Suffolk UK. It has fine facilities on the bank of this very attractive east coast tidal estuary, and offers facilities and activities throughout the year. 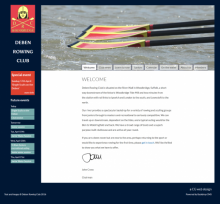 The website was commissioned to provide an attractive and user-friendly public display of the club and also has a growing members-only section to support the clubs activities. The site is built with Backdrop CMS and makes extensive use of Backdrop's inbuilt facilities of Layouts and Views to provide attractive page layouts, using a modified version of the Bartik theme. A variety of contributed modules are used to add features, including 'Colorbox' for photo albums and 'Views Send' for bulk emailing to club members.